Thinking about replacing the windows on your home in The Landings at Skidaway Island? 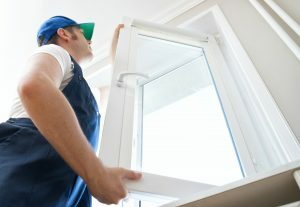 American Craftsman Renovations can help you replace your single pane windows on your home with new double or triple pane windows that will help reduce your utility bills and create a more comfortable living space for your family. We are a full service general contracting company that specializes in all of your home remodeling and renovation projects. When you are thinking about replacing your windows in Skidaway Island, we are here to help. New double pane or triple pane windows not only look great, but they will help you increase the value of your home and reduce your utility bills. Double and triple pane windows reflect more heat in the summer and prevent cold drafts in the winter, which also helps create a more comfortable atmosphere. Call American Craftsman Renovations for the best window replacement in Skidaway Island. We can help answer any questions you have; schedule your window replacement consultation today at 912-481-8353.